A Naturopathic Doctor seeks to identify and remove the underlying causes of illness rather than to merely eliminate or suppress symptoms. They do this through a detailed history and new patient appointments that average about 45 -60 minutes in length. They also utilize very comprehensive conventional and functional medicine lab testing to try and determine the underlying cause(s) of your condition. A licensed Naturopathic Doctor (ND) attends a four-year, graduate-level naturopathic medical school and is educated in all of the same basic sciences as an MD, but also studies holistic and nontoxic approaches to therapy with a strong emphasis on disease prevention and optimizing wellness. In addition to a standard medical curriculum, the naturopathic physician also studies clinical nutrition, homeopathic medicine, botanical medicine, psychology, and counseling. A naturopathic physician takes rigorous professional board exams so that he or she may be licensed by a state or jurisdiction as a primary care general practice physician. Naturopathic Doctors treat each patient by taking into account individual physical, mental, emotional, genetic, environmental, social, and other factors. Every individual is unique and a Naturopathic Doctor will tailor fit each patient’s treatment plan that takes into account all of these factors. Naturopathic Doctors educate their patients and encourage self-responsibility for health. They help you to understand what is going on and how diet, lifestyle, nutrition, and the use of natural medicines (supplements) can impact your condition. 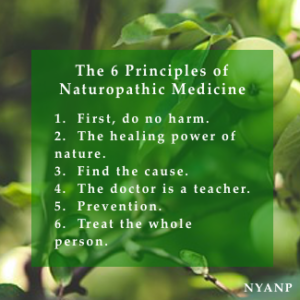 Naturopathic medicine recognizes an inherent self-healing process in people that is ordered and intelligent – Vis Medicatrix Naturae – the healing power of Nature. The same inherent force that heals a cut on your arm has the potential to heal almost anything in your body. Naturopathic Doctors act to identify and remove obstacles to healing and recovery, and to facilitate and augment this inherent self-healing process. Naturopathic Doctors use predominantly natural medicine based substances which minimize the risk of harmful side effects. Their intention is not just the suppression or elimination of symptoms but rather optimize health and well being on all levels – physical, mental, and emotional. Click here to schedule a Free 15-minute consultation with the longest practicing Naturopathic Doctor in Kansas City! ← Cholesterol lowering effects of Curcumin (Tumeric) and Phytosterols.